It’s a strange day when a book arrives in your mailbox to review and on the back are laudatory quotations from scholarly giants William Cronon and Richard White. Snagging one of these guys is the equivalent to scoring over a million points in Donkey Kong. Getting both is like achieving the latter upside down. It just doesn’t happen. So I was excited to crack open Mark Fiege’s Republic of Nature and see what it had to offer. I’m technically not an environmental historian, but alot of the stuff I get to read and write about intersects with notions about the natural and landscape. But this book has it’s own website. Which is kind of a Big Deal. The short version of this review is Fiege nails it. Absolutely nails it. For the long version, read onward, oh denizens of the internet. The best examples of historical scholarship usually do one of two things: either they open up, in dramatic fashion, new areas of exploration via methodological tools or theoretical frameworks, or they cut across the bounds of time and the scores of texts which the history profession produces to synthesize scholarship and show that what we thought was many was actually one. Mark Fiege accomplishes the latter of these in The Republic of Nature. This is, as the author acknowledges from the outset, something of a peculiar book. It does not propose to be a radical or alternate history, refuting the claims of previous surveys of American history. And yet the narrative it weaves uncovers a tapestry of experiences and interconnections that will be striking and new to most. Indeed, it is not a comprehensive survey at all, but instead chooses nine moments of experience in American life, from the Salem witch trials, to the American Revolution, King Cotton, Abraham Lincoln, the Battle of Gettysburg, the transcontinental railroad, the Manhattan project, Brown v. Board of Education, and the oil crisis of 1973-4, to excavate the place of environment and relocate it from the borders of American history to its center. Chapters 3 (King Cotton), 5 (Gettysburg), 7 (the Manhattan Project), and 8 (Brown v. Board) are the strongest of the book. Of these, I was most pleasantly surprised by the latter two. Throughout, Fiege marshals an impressive understanding of the secondary literature, supplemented by select primary sources, to delve into the rhizomatic. 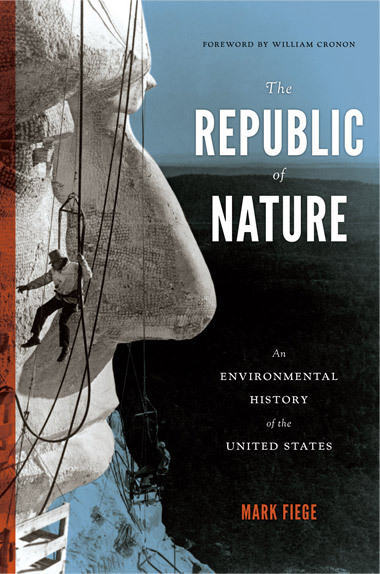 Collectively, these chapters demonstrate best what seems obvious by the end of the study: that American history is environmental history. The individual human experience remains ineluctably rooted in the demographic, the topographical, the geological, the biological, and the ecological. 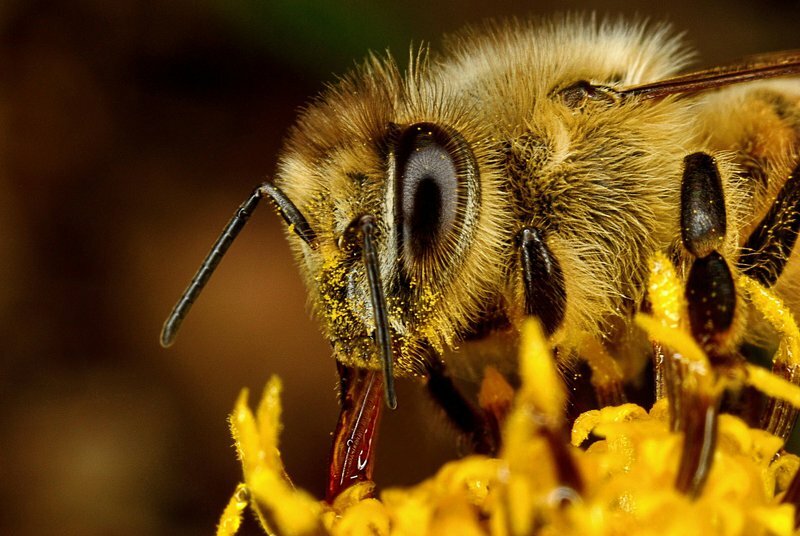 The cycles that govern nature equally govern human lives—work and play, love and hate, life and death. The forces that shape, equally, the countryside and the city, also influence profoundly human industry, politics, conflict, interaction, and scientific and technological inquiry. Fortunes wax and wane interchangeably according to the degree with which the natural is transported, transformed, and traversed. To single the above out is not to suggest the rest of the text falls short. Indeed, there are moments in the chapters below that will, even to seasoned scholars, offer novel interpretations useful in constructing with more fidelity the penumbra of experience in American life. Chapter 2 (By the Laws of Nature and Nature’s God) remains the weakest, locating republican fervor in the shift from divine law to natural law and presenting the opportunity for revolution at the same time it portended trouble down the road for slavery. Fiege’s analytical framework seems the most stretched here, and has trouble accounting for the totality of experience with little information presented that does not already exist elsewhere. Chapter 4 (Nature’s Nobleman) is somewhat less thin, locating the inception and maturation of Lincoln’s particular antislavery ideology in his formative experiences as a child and young man working the land and coming up against the harsh realities of free market labor. In places, it struggles to connect this experience with the political expediencies of war and the decisions that they necessitated. Other chapters, like the first (Satan in the Land), do not suffer from analytical flaws but rather see somewhat more compelling treatment elsewhere (in this case David Hall’s Worlds of Wonder (1989)). That this review enumerates these fuzzier moments in The Republic of Nature should emphatically not to suggest to potential readers that Fiege’s narrative is one worth passing over. Indeed the opposite—the above moments merely shine slightly less in a study that is as a whole a stunning and beautifully treated reconceptualization of the those moments in American history which survey courses have taught us to dread. David W. Wilma, Walt Crowley, and the HistoryLink Staff. Power for the People: A History of Seattle City Light. (Seattle: HistoryLink in Association with University of Washington Press, 2010. Illustrations, notes, index. 131 pp. $29.95. It is a rare opportunity to review two texts which complement one another so well with regards to theme and scope. Paul W. Hirt in The Wired Northwest presents to us an ambitious, comprehensive, and integrated history of the development of regional power in Washington, Utah, Oregon, and British Columbia from 1870-1970. David Wilma, Walt Crowley, and the HistoryLink staff, on the other hand, attempt to render in detail a microcosm of Hirt’s larger narrative—that of the history of Seattle City Light, a municipal electric utility that in numerous ways lies at the heart of Hirt’s story—during almost the same period. Together, they offer a compelling account of reification, rationalization, ideology, and regional identity. Harnessing the region’s rivers and watersheds remains, from the beginning, central to both stories, as environmental historians of the Northwest have shown for decades. Wilma, et. al. traces the stuttering emergence of this new technology that promised to liberate the masses from the darkness in the quickly growing city of Seattle in 1886, with two dynamos generating enough electricity for just three hundred sixteen-candlepower lamps from a single hydroelectric power source. 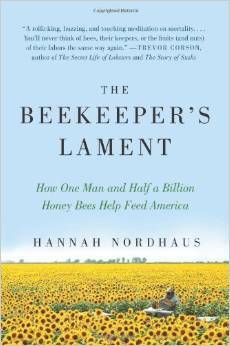 Though, as Hirt points out, initially uneven in adoption and use, questions about who would control production, transmission, and consumption of the nascent resource would immediately engender debate between public utilities charged with providing low-cost energy to as many as possible and private companies who claimed to be the inheritors of the American capitalist spirit. 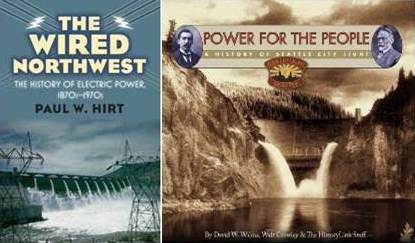 Hirt’s wonderfully rich narrative of the northwest emphasizes the region’s early adoption of the electrical revolution, pioneered by industry magnates who both lighted private residences and began the process of illuminating those job sites where artificial light promised to increase productivity and profits, like mines and shipping yards, as well as re-organize factories on both sides of the border. Subjects include the amalgamation of small utilities into ever larger ones, the enthusiastic optimism in the possibilities offered by this new technology (some of which were quickly tempered by unequal service and prices for residential and commercial customers), apprehension of growing monopolies, conflict between competing industries attempting to rationalize the river (hydroelectric versus fishing), and the distinctive nature of energy history in the Northwest, uniquely marked by geography as hydroelectric boosters, entrepreneurs, cooperatives, and regulators followed the twisting rivers, gorges, and watersheds of the region. Hirt tends to favor the machinations of the private utility and the needs of industry, yet given his charge to synthesize a hundred years of energy history this is not entirely his fault. Municipal utilities, as shown by Wilma, et. al., were, especially in the early years, mercurial and small in number. Indeed, Wilma, et. al. provides a balance to Hirt’s narrative of the ideological struggle which quickly developed between proponents of private and public power by reminding us of the development of a powerful electric sensibility by the masses of people that could only be sated by more reliable, lower-priced, and increasing amounts of electricity. Together Hirt and Wilma, et. al. demonstrate the fear of “foreigners” held by West Coast citizens, as they saw bankers, financiers, and capitalists from Chicago, Boston and New York attempt to enter the electric utility market via direct and indirect avenues of influence. They both also agree that the 1915 victory of the National Electric Light Association, effectively prohibiting municipal electric utilities from selling power beyond city limits, was a serious blow to anti-corporate interests in the public-private war. This conflict would, over time, come to dominate the electric industry no just in the Northwest, but across the United States. At the same time, they each bring independent subjects to bear. Hirt highlights the particularities of electric power in the United States and Canada, like the fact that for Canadians growth remained generally slower, government regulation less transformative (especially during the world wars), and the worldwide depression of the 1930s more inhibiting to rural electrification, technical progress, and large hydroelectric projects because of already-strained economies and cautious financiers. He also spends considerable time with the Bonneville Power Administration and the long-reaching effects of federally funded hydroelectric projects would have on shaping the industry. Wilma, et. al., on the other hand, traces in meticulous detail the Seattle City Light’s sometimes rocky growth into the largest publicly owned utility in the region. Particularly welcome are moments like Seattle City Light’s implementation of public tours from 1929-1940, designed to keep the utility in the public eye during economic hardship. Picturesque train rides, guided tours of the monumental engineering project at Skagit River, an overnight stay, and imported plant and animal life made the destination successful to the tune of twenty-two thousand visitors per year by the start of World War Two. Especially useful to the reader is Wilma, et. al.’s rendering of life as a City Light employee with respect not only to daily activities for linemen, sales people, and troubleshooters, but the extent to which they all formed a complex association of families who lived, learned, worked, voted, commiserated and celebrated together. The two texts are not without their disagreements. For instance, Wilma, et. al argues that in the early years of Seattle City Light residential customers were charged eight cents per kilowatt hour, with reduced rates as usage increased, while for commercial customers, rates were “generally higher” (28). This is in contrast to the trend unearthed by Hirt, which without fail notices commercial customers who use far more electricity than the average residential customer enjoying significantly reduced rates. Such trends provided continuous ammunition for the multifarious interests publicly debating the merits of various degrees of public and private ownership. Both Hirt and Wilma end their parallel narratives with the onset of the 1970s and how the philosophy of pushing unending consumption (on the basis that production would meet future needs) suffered a relatively quick, if not easy, death. Economic realities along with local and global politics changed the landscape of public and private power. New imperatives transformed what it meant to be a corporate or public electric power entity in the late twentieth century, as the advent of the environmental impact study and new definitions of conservation among bureaucrats together redefined the manner by which the public accepted the harnessing of nature’s energy for their own and future generations. This review will be published in the upcoming issue of the Pacific Northwest Quarterly.